If your sales are plateauing or losing steam, consider the last time you aggressively tried membership offer testing. “Never stop testing, and your advertising will never stop improving,” said David Ogilvy, known as “The Father of Advertising” the “Original Mad Man”. Even our best-performing publishing partners—who publish on multiple platforms, run several premium membership websites, and have helped define our pricing best practices—will see a drop in paid memberships when they stop testing. I told this to a premium content partner who went from having some of the highest conversion rates of our partners to having our worst performing rates, and we believed the culprit was a lack of membership offer testing with new offers, like a 30-day free trial. As Ogilvy made known, when you stop testing offers and creative, they fatigue. It’s that simple. 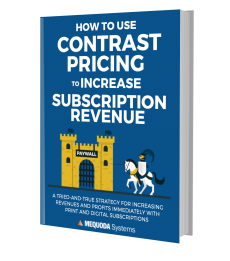 Learn how to choose the best subscription pricing & single-copy pricing strategy for your subscription websites & subscription apps when you download a FREE copy of How to Use Contrast Pricing to Increase Subscription Revenue. In response, we launched a high-frequency Six Sigma email spotlight program focused on selling more premium memberships. We increased the number of promotional spotlights from the standard 2-3X per week to 5X per week and introduced editorially-driven creative to alternate between offer-driven creative. We saw a 70% increase in their TOPX (total orders per 10K email subscribers) from this program. The email campaigns for this particular content partner are planned and measured in 2-week cycles, where we identify the 5 best performing spotlights and the 5 worst performing spotlights in a given 2-week cycle. We keep the 5 winners and include them in the next 2-week email cycle, and we replace the 5 losers with brand new creative. Meanwhile, we also tested the offer. For example, for this particular partner, we ran one offer for 4 weeks and we ran a different offer for the next 4 weeks. The reason we did sequential testing is because of the multi-device nature in which our consumers engage with our content. In sequential testing, there is a control for each odd numbered month of the year and a separate control for each even month of the year where we follow the protocols described. Split testing is another route, where the offers being tested are run out to two segments of equal size for promotional Spotlight emails. This email-only offer is usually a sale or a survey that is not available to web visitors. It is often offered for a limited time so that urgency can be part of the multi-effort campaign. While either approach is a significant amount of work, requiring active coordination between editorial and marketing, on-the-spot analytics, great copywriting, and interaction with fulfillment to manage the offers, we strongly recommend all publishers use these methods for offer testing. Why do we call this Six Sigma and how is Six Sigma applied in membership offer testing? Six Sigma methods are used in direct marketing to test a control against a number of variables. You test each variable against the control in order to declare a winner and this continues until all the variables have been tested. This can take place over the course of a month, or over the course of a year depending on how many variables you have to test. In membership website marketing, we adapt this structure to continuously test both offers and creative. Thanks to digital delivery and the power of continuous service, we’re able to get creative with offer testing. And while it may be possible to find the ultimate offer or a selection of 2 or 3 from the many that can be rotated for maximum impact, the much bigger emphasis is on the email creative testing that’s happening simultaneously with the offer testing. The high-frequency email spotlight testing described above is the only answer we’ve found to beat the fatigue. We believe the email spotlights are where we are making the most impact on increasing sales. Another leverage point we get from identifying winning email creative is that we’re able to roll the winning copy out in other channels like web and social. Selling your magazine without a soft offer, like a free trial or a free incentive, is tough. We’ve seen hard offers work with low introductory prices, but at full price, selling these alone can be a hard way to make a living. Hard offers typically deliver only 25% of the response that can be generated using soft offers, such as free trials and free issues. We experience a higher response rate when we test trial offers that include incentives such membership bundles, free special issues or other digital content available only to premium members. Before the Internet and email, that 25% could have still been a good strategy because it saved publishers a ton of money in mailing bills and conversion series efforts. In today’s world that advantage has disappeared and so we are more encouraged to offer aggressive introductory offers to build our subscriber base. With introductory pricing, we recommend using two different prices for new subscribers and renewals. Low introductory prices that are targeted only to non-buyers are powerful tools in the membership marketing toolbox. From the low introductory price, new subscribers pay the full price upon renewal given the economic behaviorism associated with credit card continuous service. Start thinking about new ways you can begin membership offer testing and how you’re going to leverage your editorial team and their expertise to craft intriguing copy specific to what the consumer will find in the current or archived issue of the magazine you’re promoting. Start coordinating with your fulfillment team to create different offer types to include free trials and monthly price points billed quarterly, or bi-monthly, or annually. So many options, let the fun begin! Next, read Six Sigma Subscription Marketing: 12 Offers That Boost Response Rates, a list of continuous service offers we recommend you start testing, like first issue free or 30-day free trials. To discuss how we can help you use offer testing to grow your audience, revenue and profits, schedule a free introductory conversation with a member of our executive team. Do You Really Need a CMS or CXMS for your Membership Website? 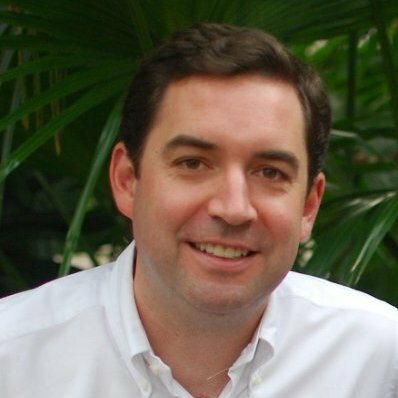 Tagged with ad, advertising, analytics, best practices, content, digital content, email, email campaigns, magazine, magazine subscription offers, membership website, Membership Websites, multi, offer testing, premium content, publishers, subscription marketing, subscription offer testing, subscription sales, subscription websites, subscriptions, text ad.